The hardest part about smoking beef short ribs is finding any to put on the grill. As soon as I found this three bone slab of beef short ribs I knew they had come home with me and get introduced to my trusty kettle. 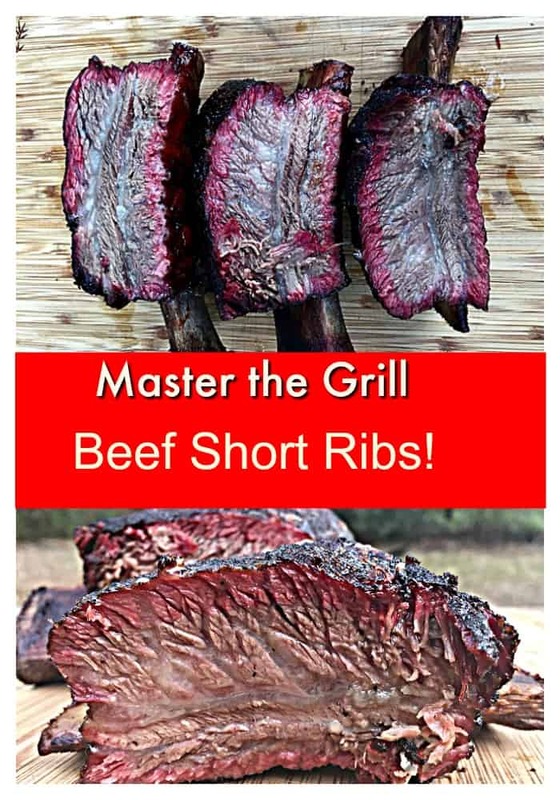 I could have gone with a fancy brisket rub here but instead chose to go “Texas Style” and just used a little salt and pepper. These went onto the kettle with low indirect heat and a chunk of hickory for a little smoke. The cook took almost six hours. I ended up refilling the charcoal basket twice. 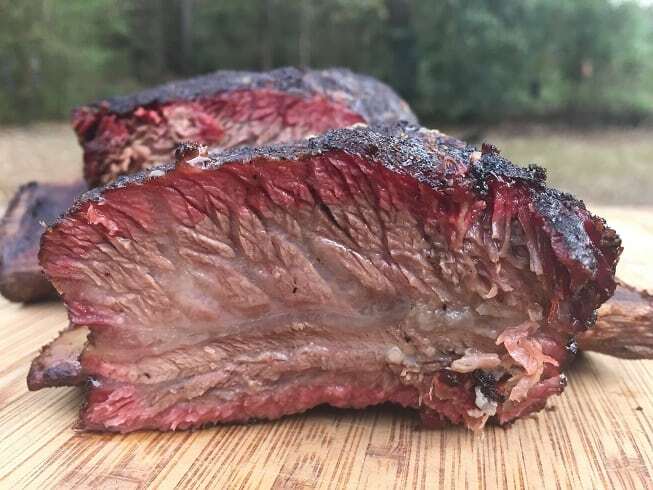 I really didn’t do anything to these beef ribs except leave them alone to smoke. 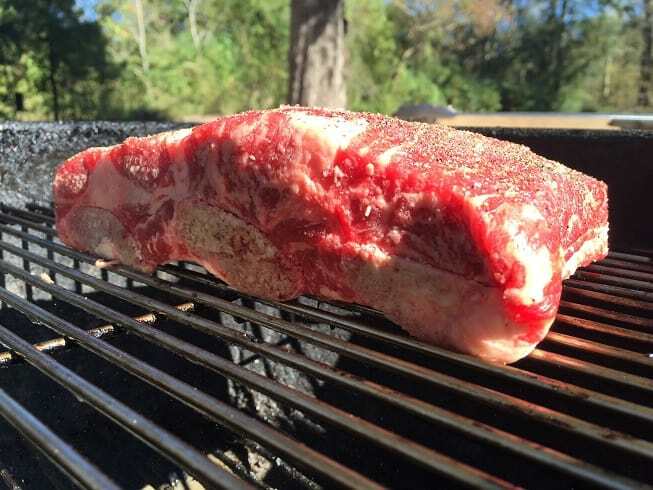 It’s a very good sign when the meat pulls back so far from the bone. My final check for when they are ready to eat is with a thermometer. The ribs will be close to 200 F when done. 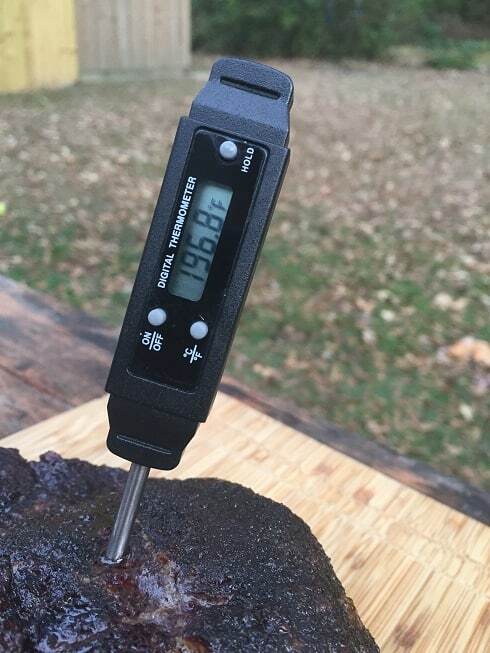 More importantly, the thermometer will just slide right through the ribs with little resistance. 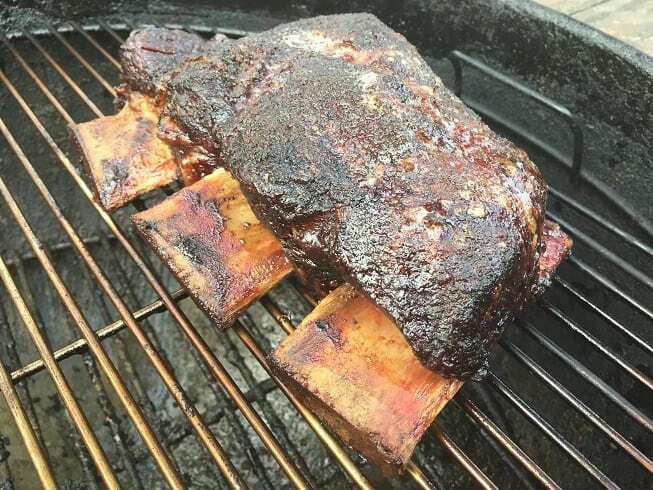 That beautiful bark is purely from the salt, pepper, smoke and fat of the beef ribs. These are so freaking delicious! 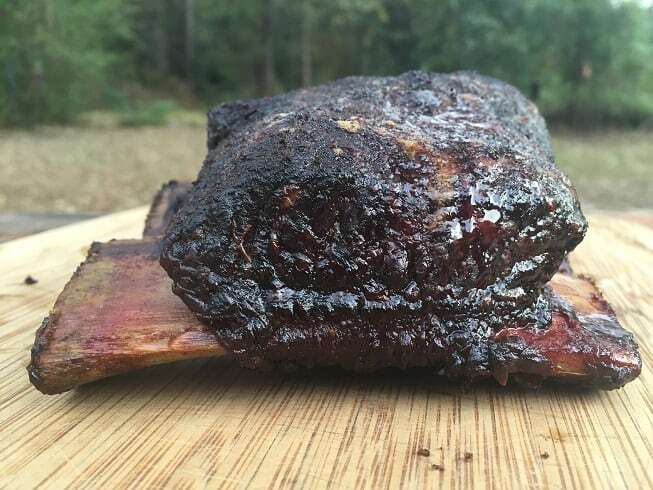 If you want to really turn up the flavor on these ribs then there are a couple of commercial dry rubs that are pretty incredible.